More information on complete van racking systems for Citroën vans is available in our custom Citroën work van spec sheet. Feel free to get in contact with us or one of our dealers if you have any questions. We always recommend that you get your Citroen van racking systems mounted at our workshop in Corby or by one of our dealers. This will ensure that the van racking systems are properly mounted. This also gives you a 5-year warranty on the van racking systems and on the mounting. If you install the van racking yourself, we provide general mounting instructions and then you have a 3-year warranty on the products. If you need any advice, please contact us or one of our professional dealers. Here at System Edström we have developed complete van racking systems designed for your Citroën work van. We offer van racking for the Citroën Berlingo, Jumpy and van racking for the Citroën Jumper, Citroen Berlingo , Citroen Relay. 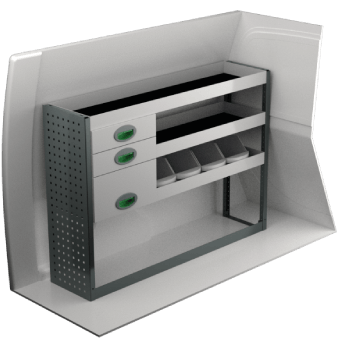 Our van racking designs have been developed with functionality in mind, so they always meet your needs. 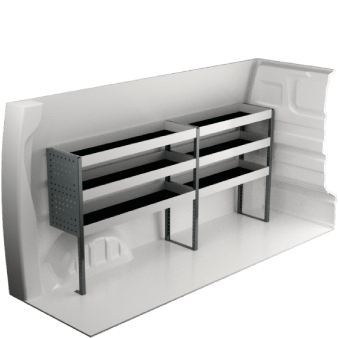 Maybe you simply work van shelving allowing you to store your tools on shelves, or a more complex system including drawers, carry-all bags and other accessories for a Citroën van racking system. Naturally our systems are crash tested. And if you also let our dealer install your system, you get a 5-year warranty into the bargain. 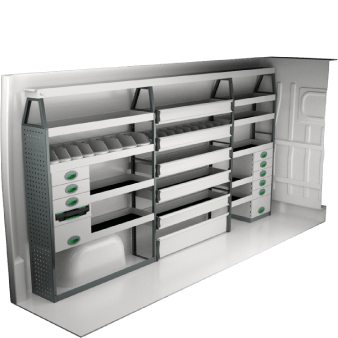 We always recommend that our customers reach out to the expert staff at our dealers to receive the best possible service regarding van racking and buy the most suitable citroen van racking accessories. Citroen Berlingo Van Racking includes furnishing the van with floors, side lining, roof and ladder racks to make the vehicle into a mobile workshop. The racking process for Citroen Dispatch Van structures the vehicle making it convenient for storing tools, components and other useful materials. Citroen Relay Van Racking consists of assembling the van with all the necessary accessories in order to increase its efficiency and profitability. Depending on your business needs, you need into to invest in appropriate citroen van racking accessories that would help efficiently enhance your citroen van.